Looking for others with whom to climb and train? 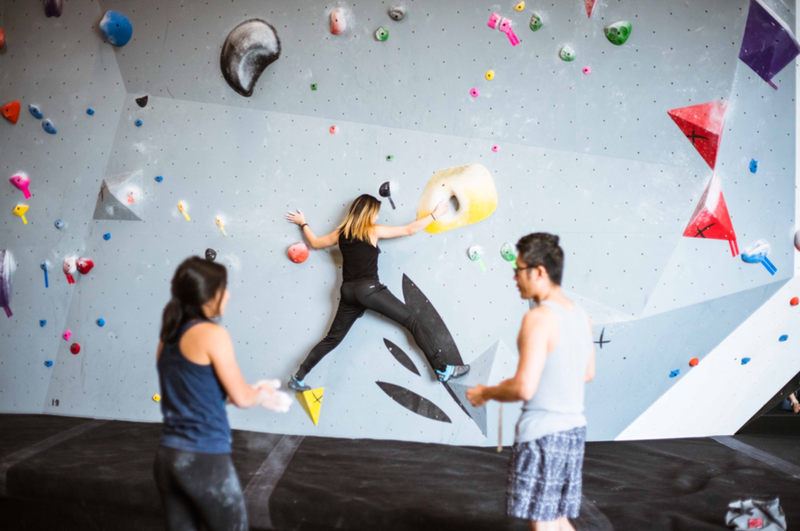 Join our Adult Bouldering League! Climbing is a social activity, and we know that folks who climb together, send together! That’s why The Boulder Field’s Adult Bouldering League is designed to promote community (and a bit of friendly competition) among climbers of all levels. Teams of 4 (all levels welcome) – If you don’t have 4, don’t worry! We’ll find a team for you! Celebrate your achievements and win prizes at the award ceremony and raffle event! Our equalized scoring system gives equal scoring to all climbers for climbing at their current level (PAR). The further you climb above your PAR, the more points you earn. Having a diverse team of varying abilities will give you opportunities to score more points!